I got through Halloween without eating any Halloween candy, and so can you! 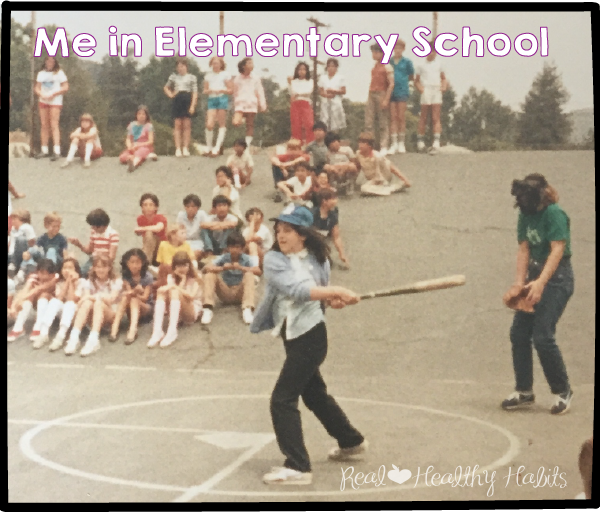 When I was in 5th grade, I moved to the big city from my family’s ranch in the California Redwoods. At my new school, the kids seemed so sophisticated. They’d go to “Cotillion” where they’d ballroom dance and learn manners. The girls wore the latest fashions--purple Izod polos and Gloria Vanderbilt jeans. They used all kinds of “colorful” language that I had never heard before. She may as well have been a Martian. That did not compute. It was ten days after Halloween. My candy haul was a distant memory. Most of it had been devoured on Halloween night with the remainder the next day. I remember wondering how she succeeded at such a superhuman feat. Plus, she was so nonchalant about it. This may have been because I had 6 younger brothers and sisters who would have been all too eager to help me finish it off. There was just no hiding place at my house good enough for leftover candy to be a reality. But, I never forgot overhearing that 10-year-old girl and her off-handed comment. It planted a tiny seed of hope inside me. My dream was that someday I might be in control around Halloween candy. I didn't know it, but that day would come only 36 years later (better late than never). I didn't eat a single piece of Halloween candy in the weeks leading up to or on Halloween Day this year! And here's the weirdest thing about the whole experience, I didn't use any willpower to do it. I was as nonchalant about it as that 10-year-old popular girl. I hadn’t set out to have a candy-free Halloween. It just happened. I didn’t even realize it until late Halloween night. I know it sounds strange, and I promise I’m not a Martian (at least not that I know of). How did I go weeks without eating Halloween candy--all without willpower? 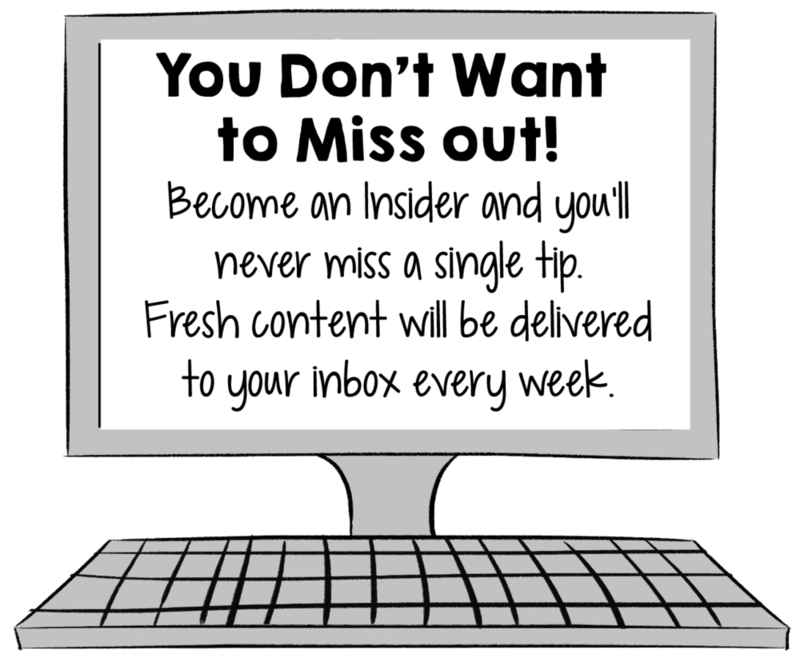 I’m going to let you in on the secret. I know. I know. It seems so implausible to me too. It seems unreal. I'm still kind of in shock. That’s why I had to write this article. Don’t ever give up on your dreams. They can come true. 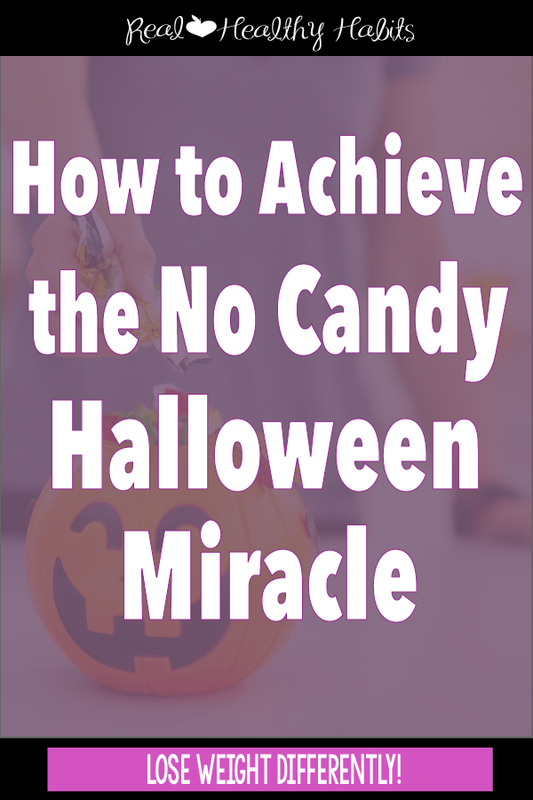 Even the seemingly impossible ones--like being in control around Halloween Candy. So how did this strange, exciting phenomena of a “No Candy” Halloween come to pass? There were two shifts that I made throughout the years that precipitated that momentous day. The first was that I became a Candy Snob. It all started when my husband, my children, and I moved to Germany. My husband was in the Army. We were stationed in a small picturesque German town. It was like living in a fairy tale. Everything was so quaint and foreign. Being a lover of all things food, my first sight-seeing stop was to the local grocery store. I could not believe my luck when I found Ritter sport chocolate bars for only .88 Euro cents. They had so many cool kinds--hazelnut, coconut, cookie, even cornflakes. And at under a dollar, these things were a steal. They cost over $3 each in the States. I had one every day for the first two weeks that I was there. After that, I had a talk with myself. That behavior couldn’t go on. But, Ritter Bars still remain my special occasion treat of choice. Europe ruined American candy for me. I became a candy snob. My new standard of candy was Ritter bars, and most of the American counterparts weren’t even worth putting in my mouth. 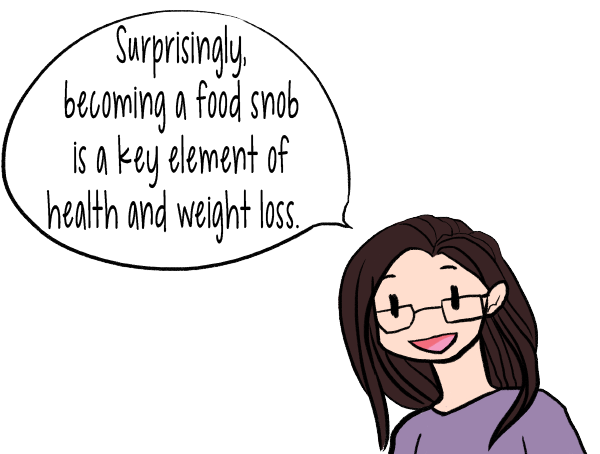 Surprisingly, becoming a food snob is a key element of health and weight loss. What I mean by “be a food snob,” is that you learn to elevate your tastes. There's a lot of tempting food around in our society. But if you take the time to notice, most of it isn't really all that good. Compare the difference between a fresh, warm, homemade chocolate chip cookie versus a stale, artificial-tasting cookie made by elves. The mass-produced, factory-made cookie is just not worth your taste buds’ time. And that's how I felt about American chocolate. Once I tasted the good German stuff, it was like taking the red pill from The Matrix. There was no going back. My Halloween candy indulgences dropped precipitously when I returned to America. It was true, most of it wasn’t good, but there were a few holdouts that were worth nicking from the Halloween candy stash--Heath bars, M&M's, Almond Joy, and Reese's Peanut Butter Cups. I was still tempted to grab some bags destined for trick-or-treaters stashed under my bed. Wait until just a few days before Halloween to buy the candy. Buy candy mixes that don’t contain the candies that I liked. Hide the bags of candy in an out of the way place. Do not open the candy bags (under any circumstances no matter how much my husband pleads) before Halloween night. Those rules got me safely through to Halloween night. Usually, on Halloween night, I have a Dessert Day. I was planning to eat a few of those candies that I still enjoy (or thought I still enjoyed). My husband and I took my two younger kids out trick-or-treating. As we walked, my husband kept sneaking packs of peanut M&Ms from the kids’ jack-o'-lantern pails. But the bucket didn’t “call my name” at all. When we got home from our neighborhood vigil, the Sorting began. It's my job to go through the youngest’s stash and be the gluten inspector. My youngest has celiac disease. She cannot have anything with gluten. Most candies are fine, but she can't have Twix, Twizzlers, pretzel M&M's, etc. As I rifled through her loot, I realized something shocking. Now we’re at the core of it--the second shift I had made. I had lost my taste for sweets! One of the coolest things about eating a lot of “real food” according to the plate template is you lose your taste for sweets. And when you do eat them, there’s no more zing in your relationship. The reward centers of your brain down regulate and finally calm down. Your sweet tooth is no more. This is one of the best ways to lose weight without needing willpower--you just don’t want junk anymore. I tell my clients to look for this shift and anticipate it, but this was the strongest it had ever been for me. I tried one small bite of a Reese’s Peanut Butter cup just to be sure that I no longer liked them. It tasted like sawdust, so I threw it away. That’s one of the rewards of my Real Healthy Habits approach: you retrain your brain so it craves delicious food (that just happens to be healthy). And, then you turn down the rewards center in your brain so that junk food and sweets no longer have a hold. You no longer have to rely on willpower to eat foods that will save your health and avoid foods that will destroy it. Well, at least the dreams of a 10-year-old girl with long dark brown hair and a cute upturned nose. I’m teaching my kids to pay attention to when they're full, to be food snobs, and to eat lots of delicious foods (that happen to be healthy). My new dream is for them-- that they will find Halloween Candy has no special spell on them. Maybe, just maybe, they won't have to wait until they’re in their forties to have that same magical Halloween experience that I did. Do you have a "No Candy” Dream as well? The dream where you are in control and you just genuinely don’t want it anymore? Although Halloween is just past, there is no shortage of candy-laden holidays approaching. There’s Christmas, then Valentine’s Day, and of course Easter following soon after. Plus, candy at your co-worker’s desk, or candy at the bank....You don’t have to wait a whole year to get good at this. The easiest way to become a Sweets Snob and calm your rewards center of your brain is to institute a Dessert Day. (Isn’t that awesome? I told you to have dessert). Dessert Day is where you pick one day a week to have one dessert. Your brain doesn’t freak out about giving up desserts (making you crave them even more) because it knows you’re still going to have them. But, because it’s only one dessert, you’ll want it to be REALLY good--not just any sweet will do. And because it’s only once a week, the sugar reward centers of your brain starts to down shift. Soon, you’ll find your cravings go way down. Before you know it, you’ll be walking by the candy bowl at work not giving it a second look for your own special kind of miracle. Get all the latest weight loss and health tips from Real Healthy Habits. Then, head on over to the Real Healthy Habits Facebook Page to share your comments, to ask questions, or get support.